Running concurrently to the World First Premiership is the World First Challenge Cup. The SCC Tankards seemed to be off to a good start after the holiday break, fresh off their league and cup wins in 2015. 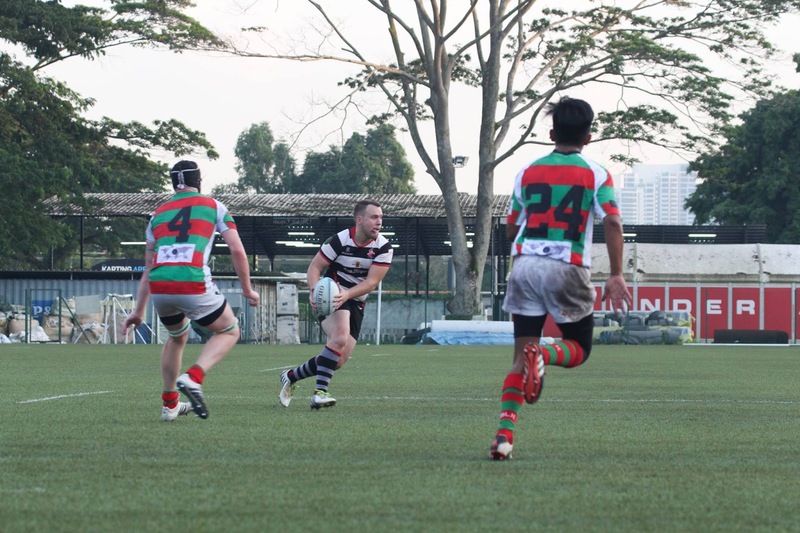 They overran Bedok Kings 2s in week one and could have got more on the scoreboard if they had made all their kicks. The battle of the Padang against the Growlers will not lack passion or punch for sure. The Growlers will look to bounce back from their loss to the Bucks in week one. Look for Tankard’s Captain Sam Flint to lead from the front against very seasoned experience. Oldham are desperate to put some silverware in their cupboard this season after finishing second best in the championship cup and league. They were unlucky to lose their lead to Wanderers in week one, and with key players on duty with the World first Lions, they battled well. Bucks ground out a good win against the SCC Growlers and will look to extend that win. Wanderers 2nds will have a challenging matchup against the Kings, but it will be one where speed meets power. Gaulois look will be undermanned with a lot of their key players on duty with the World First Lions, but the SCC Lions have been under the cosh of late, and did not have a specular conference season despite some bright sparks.